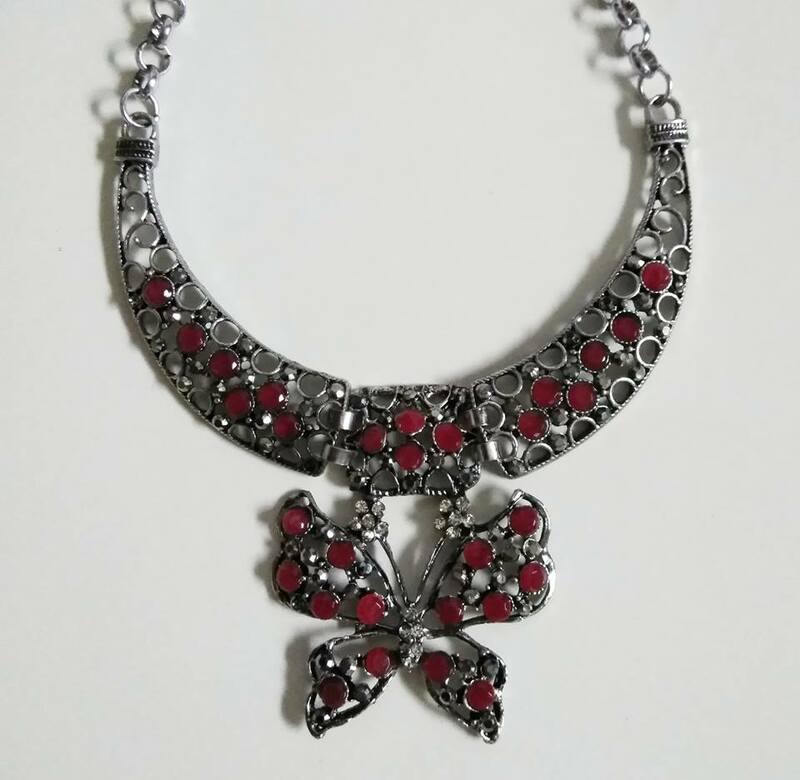 We love how the butterfly stands out when wearing a plain colored blouse or sweater. 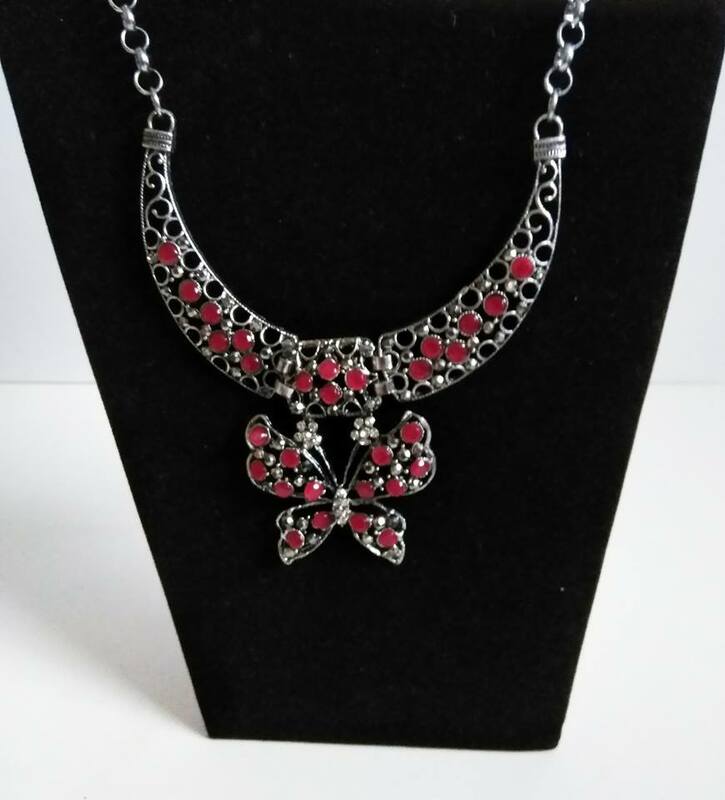 The red and silver color beads accentuate the style of the necklace. We only have 1 in stock. Shipping includes 1 to 3 business day shipping.